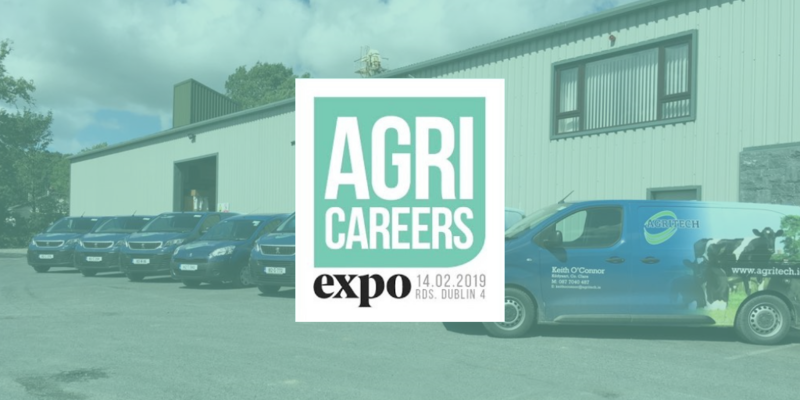 Come visit us at the IFJ Agri Careers Expo, RDS Dublin on the 14th of February 2019. Due to ongoing expansion, we are seeking candidates to fill positions in West Cork, Dublin, Galway, Louth, Meath, Donegal and all six northern counties. We will be exhibiting at Stand, A36, so be sure to drop by and say hello to the Agritech team! Full time sales advisor’s required to sell and distribute Agritech’s wide range of agri related products with ongoing repeat sales. Part time distributors required to distribute the Agritech products in their locality. • Sound knowledge of the agri sector. • Natural interest in farming. An attractive package is on offer for each position. While a background in agriculture is desirable, it is not essential as continuous and regular training and ongoing technical support will be provided. To find out more about Agritech, click here.